So You've mastered the basics of Primavera P6 - now what? Take your skills to the next level by bringing in Excel. As robust a program as Primavera P6 is - it does have some limitations, which can be improved through integrating Excel. 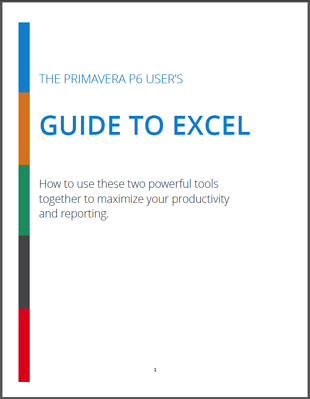 Similarly Excel has valuable uses for project managers, but adding your data to Primavera 6 will coalesce your efforts in one place. Complete the form at right to get started.